All at once, and with plenty of notice, Blood Red Shoes have announced their third album, its lead single and all the details you could want about either. Sadly, neither are out properly until March, with In Time To Voices following 'Cold' on the 27th. But as 'Cold' is streaming already there's enough to get us through the next couple of months. Less poppy than the huge hooks that epitomised Fire Like This's singles 'Heartsink' and 'Light It Up', 'Cold' judders forwards on a propulsive drum attack. The dual vocals of the pair ensure that we're never too far away from what we know however and Laura-Mary's distinctive buzzing guitar work still sounds fresh and crisp. What's particularly striking is how Rock this sounds. Like Pulled Apart By Horses and The Joy Formidable it's a proper guitar lead assault that pays no heed to fashion or trends, but seems set to make an actual impact on the mainstream. Steven wrote a piece for Drowned in Sound recently about how the big marketing push doesn't work for rock music and how the big alternative bands spend their time paying their dues before breaking. 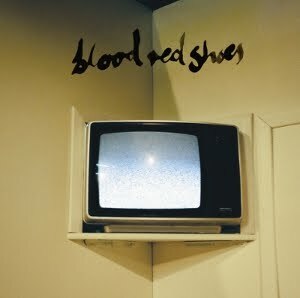 From the sound of 'Cold' Blood Red Shoes days pottering underground could be nearly over.